Cicer milkvetch is a long-lived perennial legume introduced from Europe. While it has a wide range of adaptability, it performs best in areas of higher moisture throughout the Intermountain West. 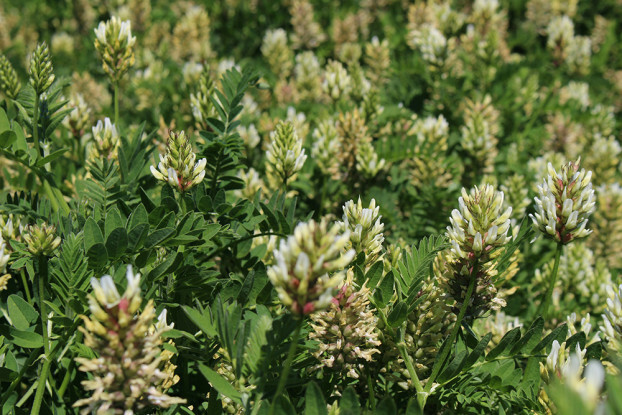 Cicer milkvetch is considered a non-bloating legume and produces good quality forage for livestock and wildlife. Cold-hardy and tolerant of wetter soils. Also useful in reclamation and erosion control seed blends. It can be grown without irrigation in areas receiving at least 15 inches of precipitation.